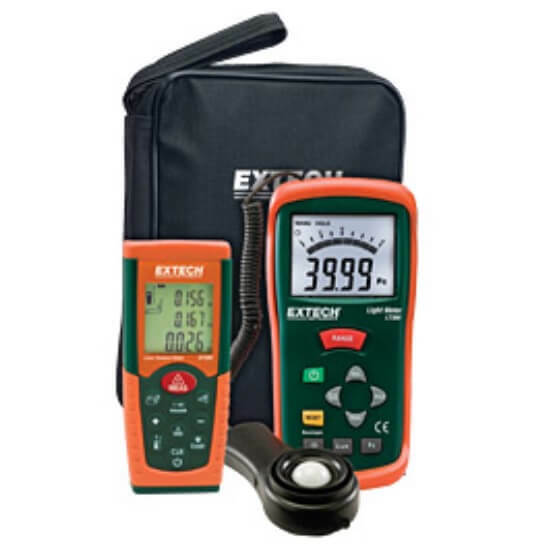 Extech TK430 Electrical Test Kit features: Assembled to provide all the electrical testing needs for installation and repair of electrical systems, HVAC equipment and large appliances; Includes EX430 True RMS autoranging digital multimeter, MA200 400A clamp meter, 40130 Non-Contact voltage detector, etc. Assembled to provide all the electrical testing needs for installation and repair of electrical systems, HVAC equipment and large appliances. EX430 True RMS autoranging digital multimeter, MA200 400A clamp meter, 40130 Non-Contact voltage detector, set of CAT III-1000V test leads, Type K thermocouple bead probe, and Type K to Banana Input Adaptor. 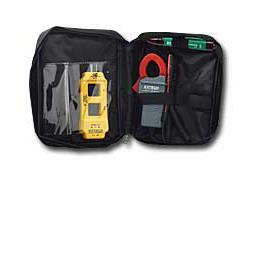 Supplied in an attractive storage case that provides protection and organization for the meters whenever they are needed. 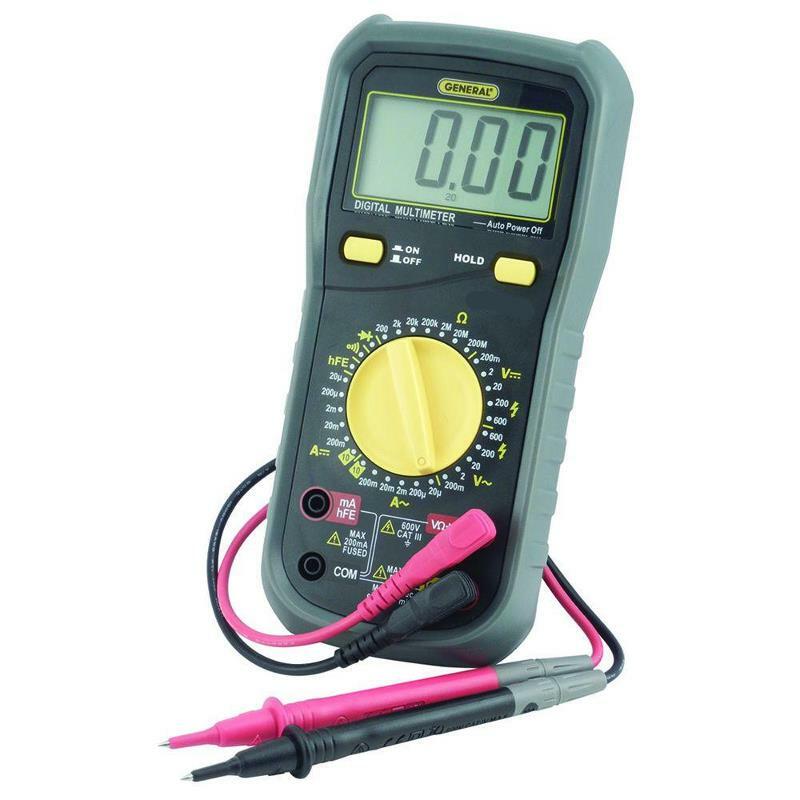 True RMS autoranging digital multimeter with 11 functions including Capacitance, Frequency and Temperature. 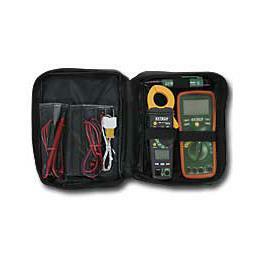 400A clamp meter with basic AC Current and 1mA resolution. 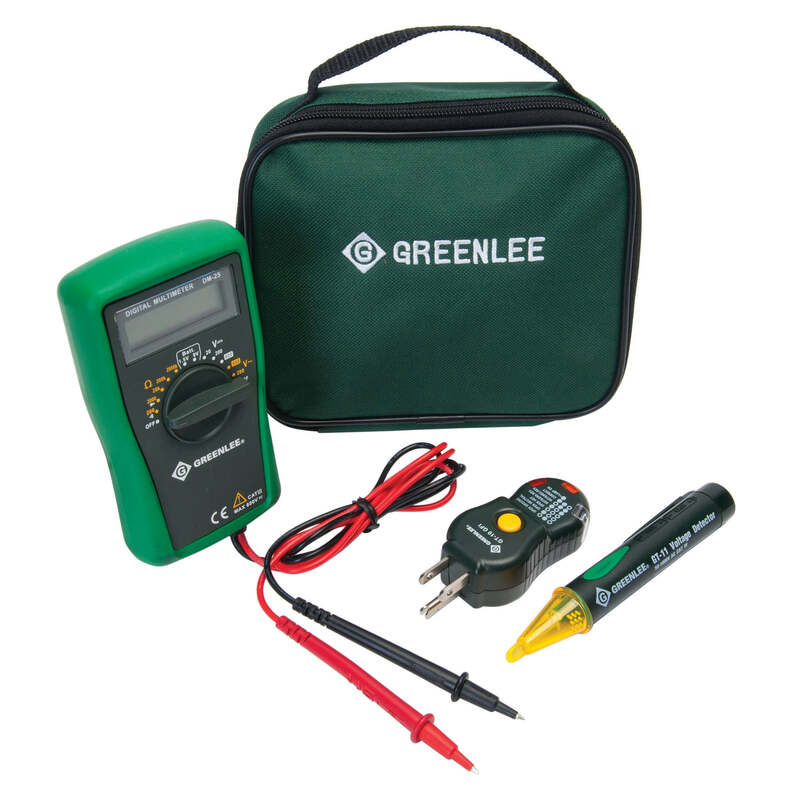 Non-Contact voltage detector detects AC Voltage from 100VAC to 600VAC without touching the source.